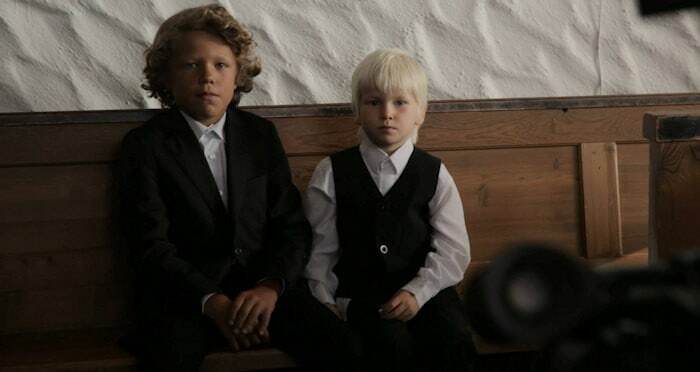 Good Machine Gun Sound (GMGS) and World Wide Woven Bodies (WWWB) are two short movies directed by the Norwegian filmmaker Truls Krane Meby. The movies are a series of thematically connected Coming-of-Age films that caught our interest. 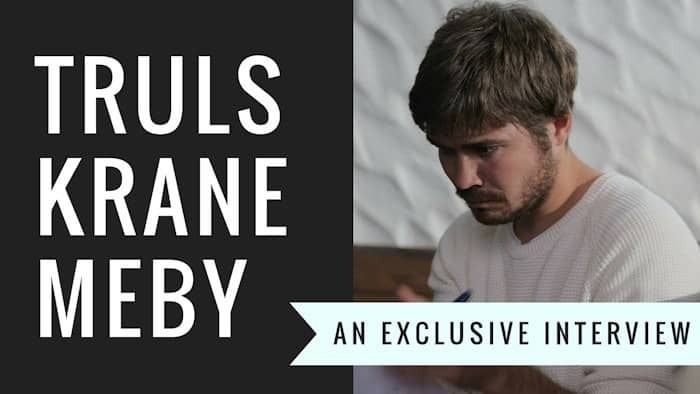 After reviewing them on the site, we reached out to the director for an exclusive interview for our readers. Thank you for agreeing to this interview. It’s essential to us, as the largest online media that exclusively focuses on Coming-of-Age movies, to present the filmmaker’s viewpoint in addition to the reviews that appear on the site. Your profile on the Norwegian Film Institute website describes you as self-taught filmmaker. How did you get involved in film? 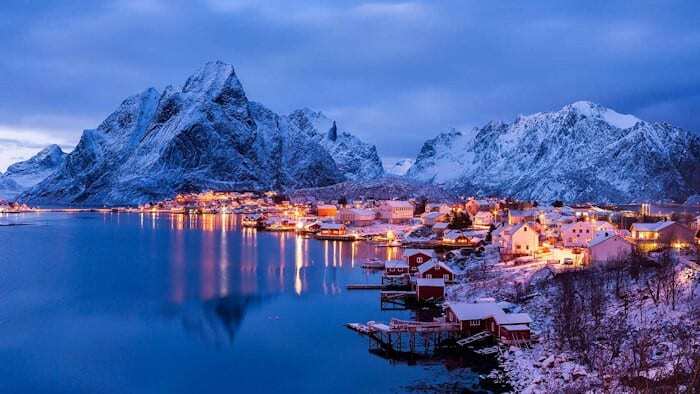 I grew up in the far north of Norway, in Lofoten. When I was younger, there were these after-school programs that most kids in my town went to, from when school was out until their parents were off work. When I was younger, I absolutely couldn’t stand cheese, and I have a traumatic memory of being force-fed cheese at this after-school program, and refusing to go back. My parents allowed it, so instead after school I now had four hours of freedom that I inevitably spent in front of the TV watching a cable channel called Filmnet, which had no qualms about screening pretty adult stuff in the early afternoon. My film interests started then, for real. And today I also love cheese, so it all worked out. My grandmother had a camera that I would use to make little films as a kid, just playing around. But it became serious when I was 15 and got my own little digital camera. It was a fantastic little thing that was small enough to put in a pocket, so I’d carry it around all the time. More than actually make fiction, I would document my friends and try to make small cinematic moments out the things that were happening around me. Probably a little out of laziness, in these early film making efforts, I didn’t tend to actually make the effort to bring together all the things that a fiction film demands. That was probably a little out of fear of failing at fiction, but mostly because I realized it was really exciting to actually make a cinematic moment that I didn’t know would exist until right before it happened. I’ve tried to bring some of that into my later fictional work. I got into film professionally after I’d been working odd jobs in Oslo (among other things in psychiatry), and had avoided going to film school (again, a little out of fear of failing). I just dabbled away at my own things for some years, making small films that are securely locked away in a drawer and will never see the light of day. After a half-depressing year in Paris, I became very determined to speed up my work a little. So, when I got home to Oslo, I ended up going to a lot of workshops at a great talent development place in Oslo called Mediefabrikken (“The Media Factory”), and it kind of snowballed from there. Eventually I was making short films quite often, both for the public and just to play around, and I managed to make a living doing freelance film-work. 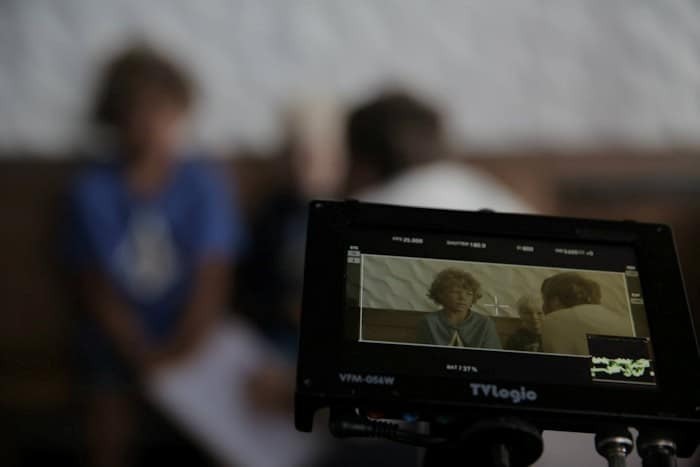 The SkyKid.com has its own unique niche – Coming-of-Age films and stories promoting young talent in Music and the Arts. You also mainly make movies about kids and their life stories. Why children? – Why not focus on issues people face in adulthood? I very often pick stories that are closely related to and inspired by my own life. There’s something about being able to talk about something with a certain amount of security and authority. I know about these feelings because I’ve had them, and I can give the films a level of detail that I might feel uncomfortable with if I completely made something up. I need to feel like I can really explore the environments of my films, and to do that on a short, I felt it has been best to talk about things that are close to me. When I eventually get to make longer films (and inevitably films that are very far removed from my own experience), I will have to do immense amounts of research to feel comfortable talking about those things with authority and power. I need to feel like I’ve been living a little in my stories. This might boil down to this insecurity again, and fear of failing. I feel secure in these Coming-of-Age stories, because nobody can deny the emotions I’ve gone through. So I started this Coming-of-Age series because it gave me an opportunity to talk about chapters in my life that are more closed and “finished” than my life is at the moment — more easily graspable. That said, I’m currently writing a film about a situation I was in last year. The process has been good, but that might also be due to the fact that the situation it concerns is also over and in the past. More generally, I’m very interested in portraying feelings that are hard to put into words, and that are multifaceted, and where the person feeling them maybe isn’t even aware of what he’s feeling at all. Children are much more susceptible to this than adults, though adults only get better at putting words on their feelings, and rarely the right ones. So making films about children has a lot to do with experiencing things you cannot quite understand, talk about, put into words. It can be very chaotic and scary. Also, I like the feeling of losing myself in this dreamlike state of writing/thinking about the past, where the past becomes a strange foggy landscape of situations and emotions and associations that just float around, and then picking some of these and putting them into a dramatic context. Can you talk about the casting decisions for your films? The young actors in both Good Machine Gun Sound and World Wide Woven Bodies deliver excellent and genuine performances. Where do you find your actors and what do you look for when casting them? I found the youngest actor in GMGS, Jermund, in a casting bank, and he was the only one who could say the line “is aintie and the Man in the Moon in the same place in heaven”, without stumbling. But he also had something that I think is very important to look for in kids: are they the character themselves? Do they embody the essence of the character? All three kids were great at delivering scripted lines in believable ways, but they all had big parts of their characters’ essence in them already. Jermund was a little joyous, innocent anarchist, just like his character needed to be. Erlend had the same inward contemplativeness that Arvid needed, and Heine had a playful curiosity that was perfect for Mads. While sexuality is undoubtedly part of most everyone’s Coming-of-Age experience, sometimes audiences are nervous seeing it addressed in a movie. Yet that is exactly what you have done in your short film World Wide Woven Bodies. Does it sometimes bother you that some people may take your work as controversial? It’s made me a little nervous, but also very excited. It was definitely a big reason why I wanted to make the film. It’s such a ridiculously natural aspect of our lives, yet it causes so much confusion and distress. I just wanted to naturalize it a little in almost an anti-dramatic way of showing sexuality, where the drama rather came from the taboo and shame-infested social interactions around it. In our previous conversation you mentioned that Good Machine Gun Sound and World Wide Woven Bodies are both part of a series of thematically connected Coming-of-Age films. So far we have seen one focused on mortality and sexuality. How do you decide which childhood experiences to focus on and where do you draw inspiration – novels, personal experiences or something else? This is tricky. In many ways I’ve taken two themes that usually enter one’s life in the chronological order I’ve shown in the films. But I think I’ll have to move away from the chronology aspect now. So, for example, the next film might not be about the first encounter with something. I want to do a film about being a social animal, group behavior, which might be seen through the experience of going to school. Hah! I just had an idea right now, writing this. Yes, it will probably be the film that precedes GMGS in the series, and it might well end up being about the first day of school. So… another first! And the very first film in the series I want to be about the perception of very young children, and about how we see things before we learn what they are. I read about a study where five-year-old children fearlessly held a giant spider in their hands, because they haven’t learnt to feel it might be dangerous. Those are just some ideas. I have some more, but this can all go in many directions. I (Georgi Krastev) discovered your films after stumbling upon an article at an online community specializing in Coming-of-Age movies. As your film was not available yet, I got in touch with you and you were kind enough to provide a review copy of it for the site. However, many people are interested in knowing why a short film can’t be immediately shared (even on a pay-per-view basis) among the people impatient for its release. It has happened to me too, at times, when a screener could not be obtained (thankfully quite a rare occurrence). Would you share your take on short film distribution, and movie distribution as a whole, from the point of view of a film maker? The internet has become an amazing arena for short films. A permanent home for a short film has been hard to come by in the past, as they’ve been relegated to DVD-collections that very few are lucky enough to get into. Granted, there seems to be some very internet-like aesthetics creeping into short films these days, and sometimes what people call a short seems more like a trailer or a mood-reel. But against that: a short can and should be extremely free to be anything it wants to be, and one really does see that online these days. Festivals, due to their exclusivity, will always have an important part to play in the life of a short, as a festival can grant opportunities for the filmmaker and also make the short much more visible when it finally does go online. I think for certain shorts, going straight to the internet is very fitting. I have some smaller projects that I’ll be putting out very soon, as I don’t feel the effort and cost of pushing it around festivals will be worth it, and I don’t expect they will be very festival friendly. But the larger projects I’ll always send to festivals first, as they might bring other opportunities for me professionally, and because they will be more easily noticed when one does send them out into the chaos of the internet. What’s next for you as a director? Are you considering turning any of your shorts into full feature movies? I’m working on my next short as we speak, which will hopefully shoot in the autumn. Parallel to that, I’m writing two features, one of which is an exploration of many of the same themes of WWWB, also set in the late 90s when the internet came to northern Norway. 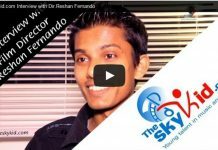 Let’s finish with a question I always ask filmmakers: As theSkyKid.com mainly focuses on Coming-of-Age films, it would be interesting to know if you have a favorite Coming-of-Age film that you could recommend to the people reading this interview. Whew! Difficult. I’ll just name three very different films off the top of my head: This is England, 400 Blows, E.T. Thank you for taking the time to share with our readers your thoughts about your films, and best of luck with your future projects!